I do a lot of crocheting, both for selling and for gifts and so I go through a lot of yarn. I tend to just use my yarn as it comes from the store, which is in a sort of oval shaped blob or ‘skein’. Most of the time when I buy a higher end, luxury yarn, it comes in a ‘hank’ type shape, which is like a big loop than is then twisted on itself. Sometimes I spend the time to hand wind my skeins into balls so that they are easier to use but usually I’m just too lazy. This means that depending on if I pull the yarn from the centre of the skein, or the outside, I can sometimes end up with frustrating knots and tangles and then I have to do some raging and I get all sweaty, and well it’s just not fun! 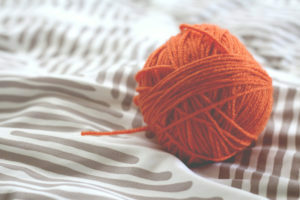 So lately I’ve been thinking about buying a yarn ball winder. It would save me so much time and make perfectly shaped yarn balls with a nice hollow centre that makes tangles and knots virtually obsolete. But there are so many types, And what are the differences between them and the different brands? We’ve done the legwork and found the best yarn ball winders on the market. Here’s what we found.